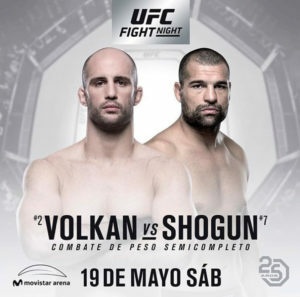 A Light Heavyweight contest between Number 7 ranked contender Mauricio “Shogun” Rua (25-10) and number 2 ranked Volkan Oezdemir (15-2) has been adde to UFC Chile. Rua a former Pride & UFC Champion has won 3 straight. We last saw “Shogun” in action at InMarch of 2017, defeating Gian Villante by 3rd round TKO. Oezdemir won 5 straight, including his first 3 trips into the octagon. 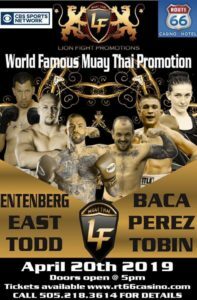 The Swedish Fighter, training in Florida looks to rebound from a failed attempt to dethrone Daniel Cormier at UFC 214. UFC Fight Night 129 takes place May 19 in Santiago, Chile, at Movistar Arena, prelims on Fight Pass, Main Card on FS1.